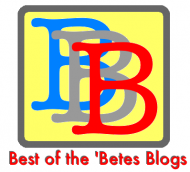 Diabetes Ramblings: DSMA Blog Carnival: Why? Q1. Why do you advocate for diabetes or people living with diabetes? As I contemplate my answer, I'm listening to some CDs I received as a Christmas present. Rich Mullins was a man inspired by God who shared the Gospel through his music. During my college years, his music helped me to find direction and purpose. I went to two of his concerts, even having the opportunity to meet him in person before one performance. I find it fitting that I am listening to his music now as I think over another "why." "Why do I advocate for diabetes or people living with diabetes?" I've mentioned before that I feel that there is a reason I have diabetes. Each of us has a purpose in life. I honestly feel that God has lead me to help others in various aspects of my life. I feel called to be a wife, a life partner to my husband. I feel called to be a mother, raising my precious children into adulthood. I feel called to work as a substitute teacher, being there when the regular teacher can't and working with the students. Yes, I even feel called to be a person with diabetes, to reach out to other PWDs and help raise awareness and educate the general public. This is probably a good time for a confession. Part of my desire to become an advocate is selfish. I know that I can't do this alone. I can't handle the highs and lows alone. The fear of complications paralyzes me at times. It scares me beyond words. Diabetes is frightening. It's not a game, not a badge to show off. Diabetes caused my grandfather to lose both of his legs. Diabetes kills. I don't just advocate and fight for others. I advocate and fight for me! I got involved in the DOC for me, to feel less alone. I started blogging to try to find other PWDs. Thankfully I've found that by working to help others, I am able to better deal with my own condition. In the words of this Rich Mullins song, "We Are Not As Strong As We Think We Are." We can't do this on our own; we need each other. 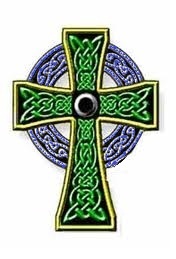 The cross above was found here with blue added to the circle by me to represent the DOC and WDD. Great entry for a D-Blog Carnival! You're so right, that we make the most difference together - on a personal d-management impact side as well as the larger advocacy front. Thanks for being a part of this community and doing what you do. Here's to more in 2012! I think that's why most of the DOC are such passionate advocates - while helping others we are also helping ourselves. We have a very very vested interest in diabetes. And we know that if we stand together, we can make things better for all of us. Thanks for a great post and Happy New Year! !